Birgitta Jónsdóttir, captain of the Icelandic Pirate Party was a guest on Norwegian chat show Skavlan on NRK last night. Among the guests was British Lord Julian Fellowes who is also the creator and writer of TV series Downton Abbey. 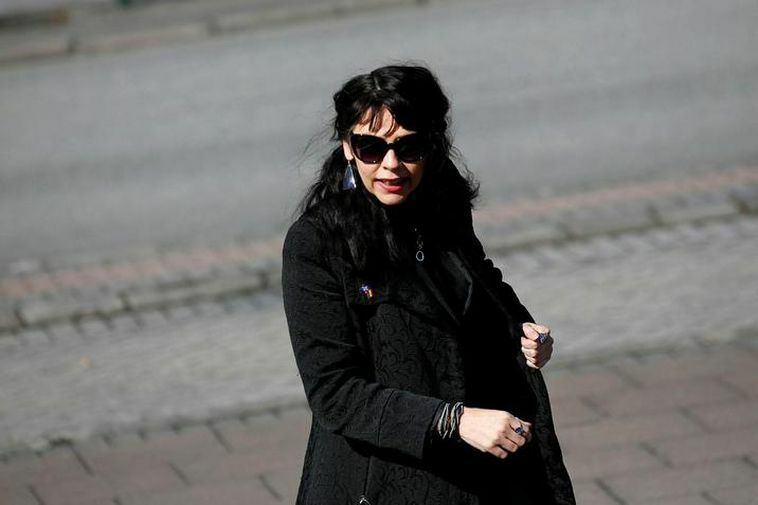 The host of Skavlan asked Jónsdóttir about her involvement with Wikileaks and whether she thought they had gone to far in their involvement with the US Presidential elections. Jónsdóttir replied that she thought that in this case Wikileaks had gone too far but that she had stood by their actions between the years 2009 to 2012 for example. Fellowes interrupted Jónsdóttir saying that he could not listen to this and that he disagreed wih everything Wikileaks stood for. "It is absurd to think that you can govern a country by using traitors to release protected information," said Fellowes. "Shame on you. Shame on you," retorted Jónsdóttir. "Whistleblowers, who blow the whistle on corrupt governments and war crimes are not traitors. Shame on you!" This was received by a great applause in the audience. Jónsdóttir continued and pointed out the role that Wikileaks played in the revelations made in the Panama Papers. Asked whether she still had any contact with Julien Assange with whom she worked closely at a point in time, she replied, "None."